In a previous post, I described how my NL Fairlane had an Idle problem and how I eventually got it fixed. I later concluded that my old ISC must simply be clogged and devised a method to clean it. 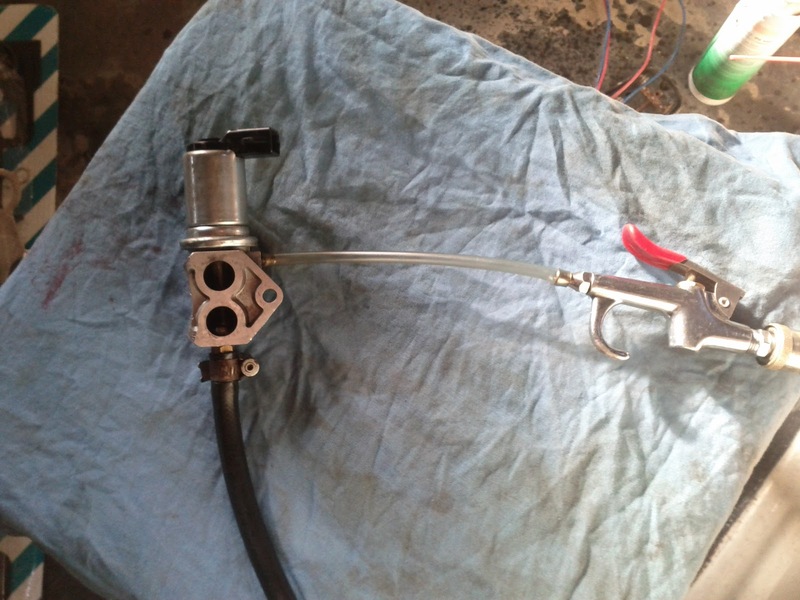 Idle Speed Control (ISC) valves are also known as Idle Air Controllers (IAC) and Bypass valves (BYP). You can see that there are numerous patents for variations on this theme and I did not find them all. Some describe how certain features work, but it seems that my ISC is powered by vacuum and limited by its solenoid. These designs have long-thin hollow shafts and tiny vent holes. It is very important to have these clean. One patent discusses how it should keep working even if these holes get blocked - sort of limp-home-mode. I pulled apart an ISC that was supposed to be a replacement part for my car. It did not work and I decided to dismantle it. 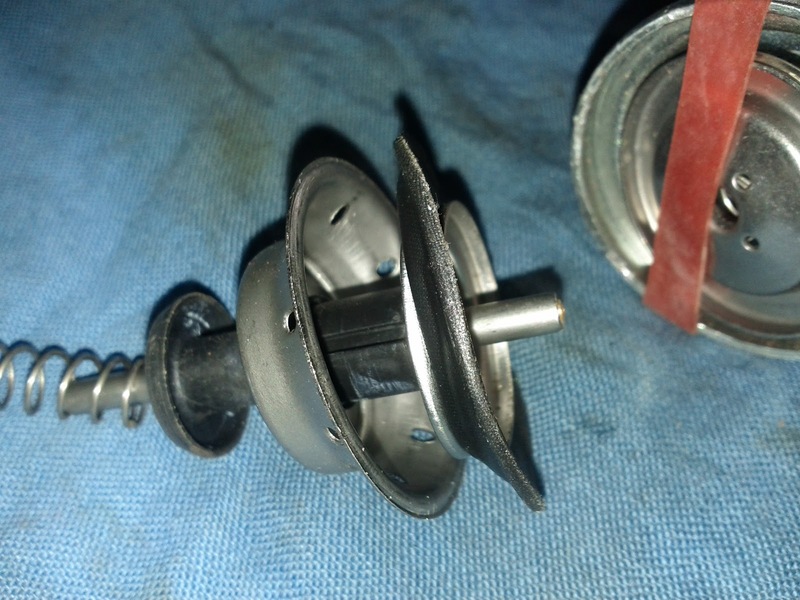 A close-up of actual valve, shaft, and diaphragm. 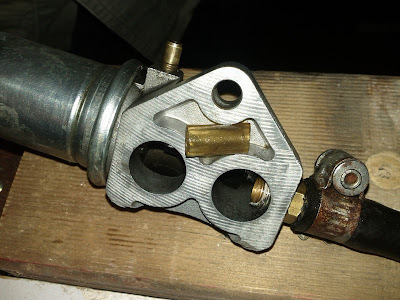 These solenoids are complex. What is interesting is that they do not directly move a valve. 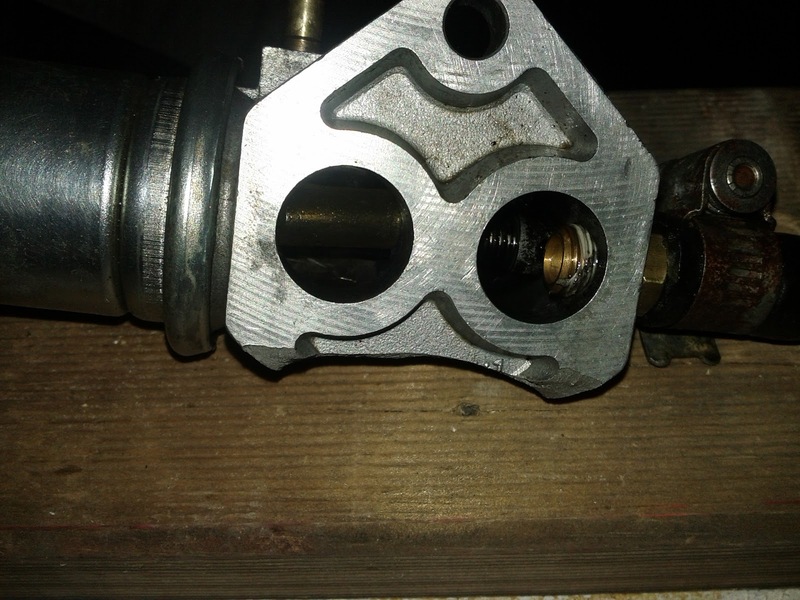 They simply limit how far its valve can open. 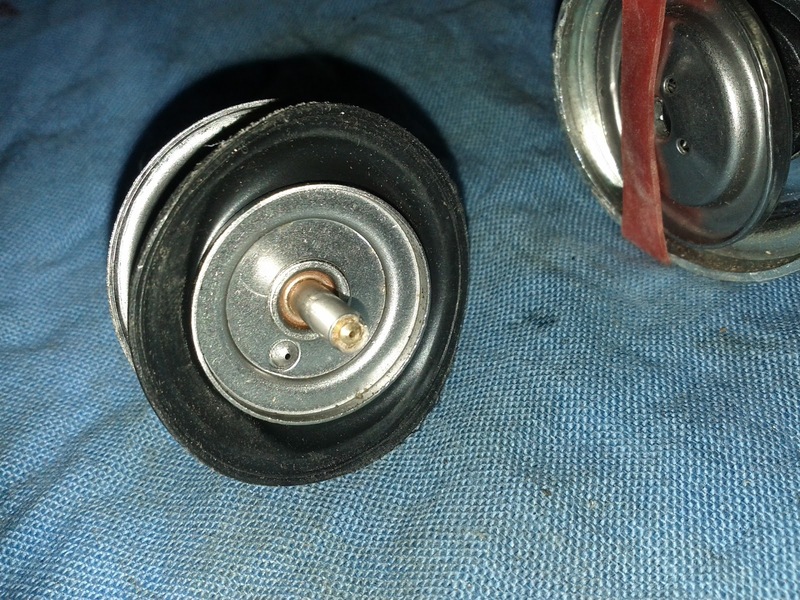 Cleaning should not be a problem except that this is an electrical component and contains rubber seals and diaphragms that can not be directly seen or accessed. I decided that I'd limit cleaning fluids to WD40 (or similar), Isopropyl alcohol, and compressed air. 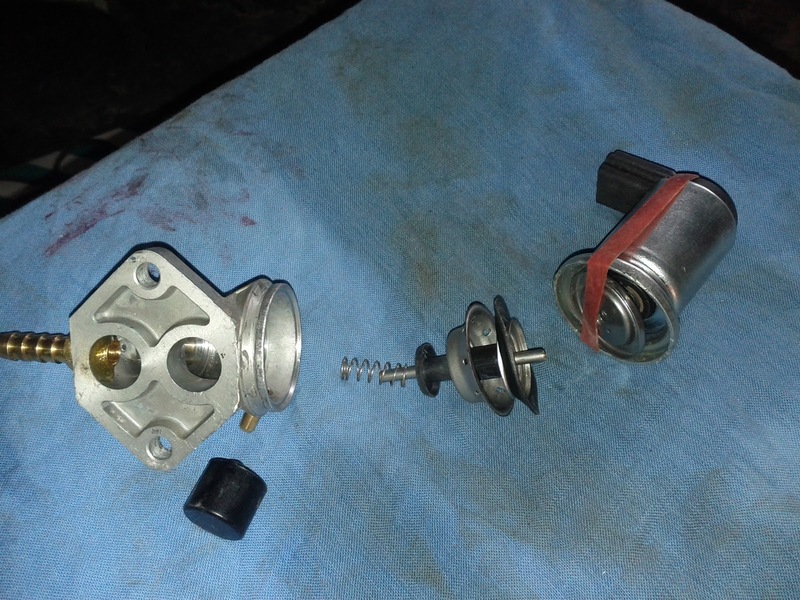 Cleaning the parts that can be seen is straight forward: spray with WD40, scrub components gently with a small brush, blow out excess. Later you can rinse and with Isopropyl alcohol. At one end you will see a spring over a tube that guides a valve shaft. This tube is fixed in place by a cast socket that has a small 3 mm diameter hole. This hole allows vacuum to pass through a shaft and into a space between solenoid and diaphragm. This space is also vented by brass fitting that is usually covered by a black filter. Pull off this filter. At first this will be hard to do. Be gentle and work on it slowly to remove it undamaged. I sprayed in WD40 through this vent and also through that hole mentioned above. 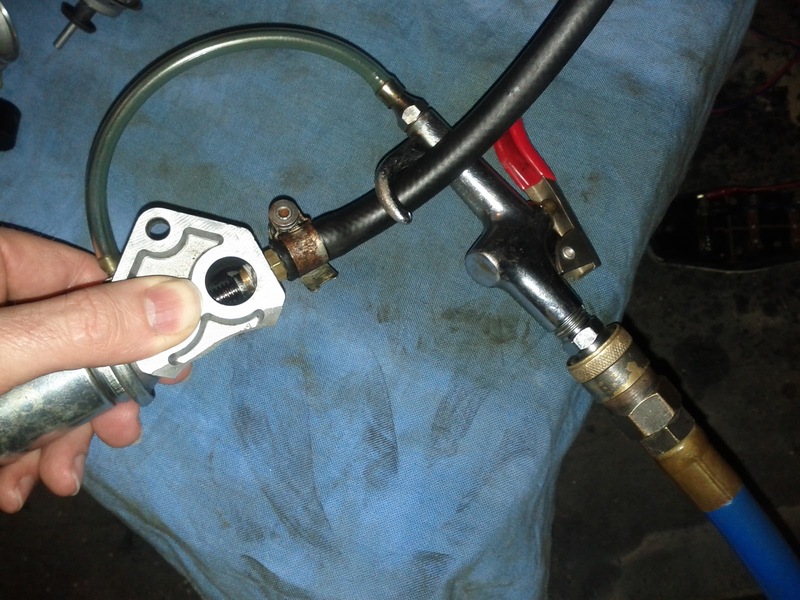 I then ran my air compressor up to about 10 PSI and connected it to that vent as shown below. I cut a piece of plastic tube to force close my ISC's valve. 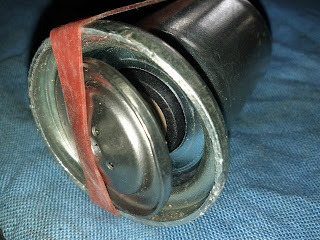 With this tube in place, I can pressurised diaphragm space using vent fitting, and by covering a large vent hole with my thumb. 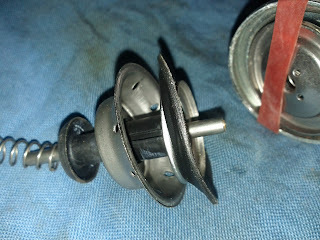 By gently forcing air and WD40 through my ISC I was able to flush and clean out shaft and vents.